Sometimes we are chosen for this. . . Thank you sir! Likewise, you have my respect and it's increasing all the time! I figure we are like children visiting a nuclear reactor or something, we can learn and talk to the people there, but it can be a dangerous environment if you are not wanted, do something bad, etc. However it is still a place we can learn and visit and maybe one day work at. I guess its time to share my experience with the Sowen transmission/initiation! Occasionally I use a hypnosis track for various purposes, whilst doing a LMP exercise, this time I tapped into the transmission via the mudra, along with gongzilla and focus on yintang. The LMP system is becoming self-aware, or the egregore? What hypnosis track do you use bro? My thoughts on the self awareness, warning, I'm out of my element and am probably wrong, at the least clueless. 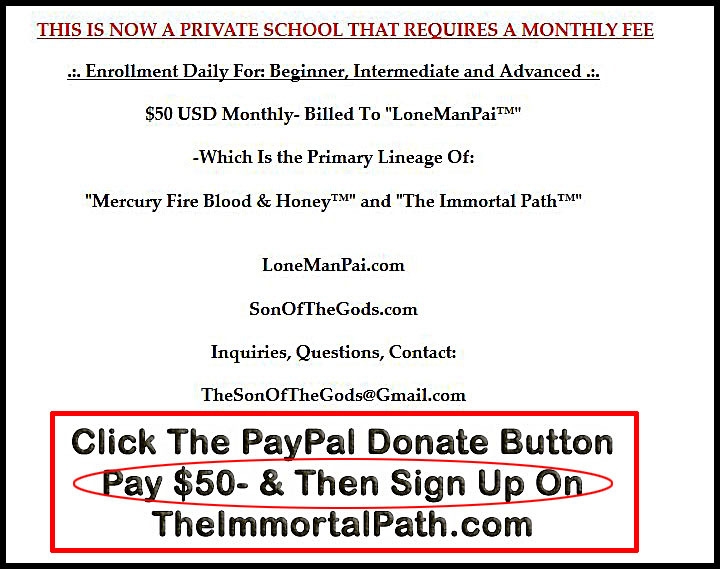 I think that there is like a morphic field for loneman pai created by us, I imagine there is not much difference between such a field and a tulpa or egregore. After enough input it might be able to continue on it's own. Like I said, I don't know what I'm even saying. Threads discuss the as "The Machine"